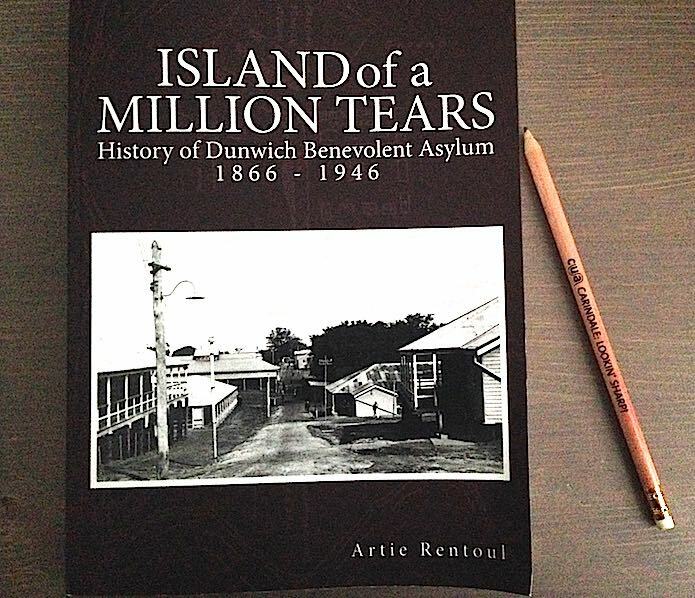 Last night, I attended the launch of Artie Rentoul’s book ‘Island of a Million Tears’, a history of the Dunwich Benevolent Asylum 1866 – 1946. Redlands is fortunate to have a citizen such as Artie, for not only has he served them well as a builder and restorer of its historic buildings, but also as a preserver of its history. It was during his work on the former Benevolent Asylum’s Men’s Dining Room at Dunwich that Artie became intrigued with the Asylum’s 80-year history. After 5 years of painstaking work collecting material notably from the Queensland State Archives (all with a pencil and paper), Artie met up with another regular Archives researcher, Dr Jonathan Richards, a History Lecturer from the School of Humanities at Griffith University. Jonathan was instrumental in setting Artie on the path to producing this magnificent book ‘The Island of a Thousand Tear’. It was fitting that Dr Richards launched the book at last night’s event at the Redland Museum. Australia lead the world in catering for its aged people when it introduced the Aged Pension, and the Dunwich Benevolent Asylum was the largest institution in Australia to cater for people who could not longer fend for themselves, be they aged, infirm, epileptics, or alcoholics. ‘Island of a Million Tears’ is a ‘must have’ for anyone interested in Queensland family history and in the plight of those needing State care. Currently it is available from the Redland Museum and the North Stradbroke Island History Museum. Price is just $28.